So of course I had to buy it! 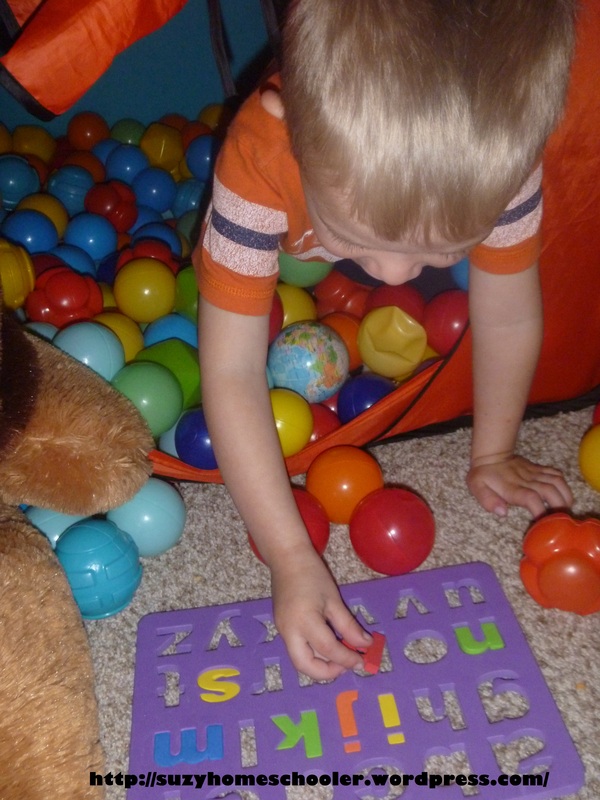 And this morning I was poised over a tub of pinto beans, ready to pop the letters out of the puzzle and mix them in when out of the corner of my eye I spotted SunnyGirl collecting balls from around the room and returning them to the ball pit. Inspiration hit. I called LittleMan over and the three of us together all gathered the wayward balls from around the room to re-fill the ball pit. 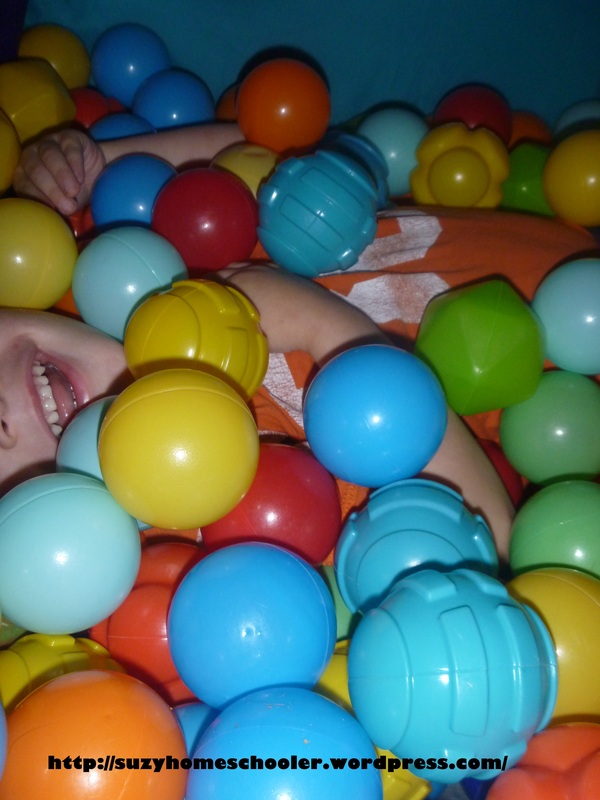 Then I mixed the letter puzzle pieces into the ball pit and sent LittleMan in to find them. 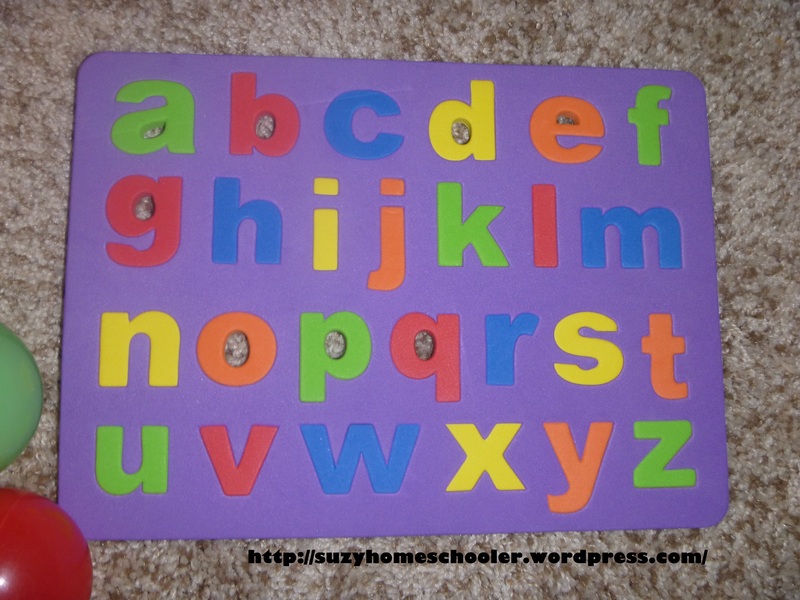 As he found the letters, I asked him to name them. I’m not sure if LittleMan knows all the letters by name yet. 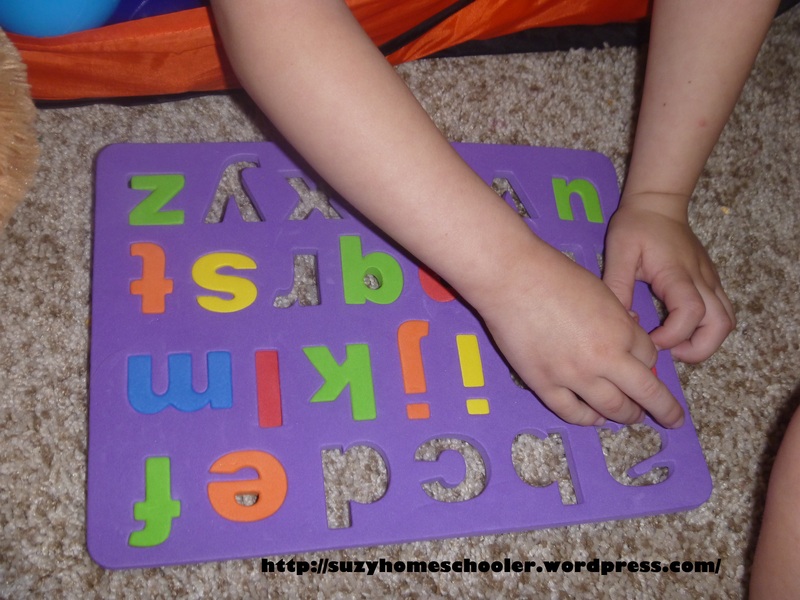 He was able to tell me the sound every letter makes and a word that starts with that letter, but the idea that each letter has a name unrelated to the sound it makes seems to confuse and frustrate him. I’m content with him merely knowing the sound each letter makes (for now) as it seems more practical to the learning to read process. We had alot of fun with this activity. Around the time we had only 3 letters left to find, LittleMan said “Mom, you’re awesome.” I don’t know from experience but I imagine this compliment would be equivalent to Gordon Ramsey saying he liked the dish you cooked or Julia Roberts telling you that you were amazing in your local theater production. I doubt myself alot as a mother and as a teacher to my children, but moments like this go far to restore my faith in myself.